Are you there, Esteemed Reader? Ninja here. I've been ignoring this blog since my two-part post Swimming With Sharks in which I warned readers that some publishing professionals are not to be trusted. Traffic since that post has exploded and I've found it easier to stay offline and focus on my upcoming release rather than engaging Esteemed Readers in a debate over this issue. But one of those Esteemed Readers who came to the post and had some thoughts of his own was our old friend Kurtis Scaletta, author of Mudville, Mamba Pointe, The Tanglewood Terror, and The Winter of the Robots. Kurtis has generously made time to compile those thoughts and share them with us. 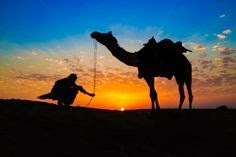 “Tie your camel and trust in Allah,” is one of my favorite proverbs. So it goes with publishing: it’s all well and good to put your hope in God, or the fervency of your dreams, or the ideological premise that good things happen to good people, but what will best keep the camel from wandering off is a strong rope and a good knot. If you’re in the market to pay for editorial services, you are taking care of fundamentals. You are tying your camel, not making a sacrifice to Allah in the hope that His magnificent benevolence will reward you with a book deal. It’s not a secret handshake. It’s just about putting yourself in the best position when you hit the submission trail. Unfortunately, the camel-tying business is one without credentialing, so it’s hard to know if you’re investing wisely. What can you do to make sure you’re spending your money wisely? First, reputable editorial services will be clear about what you get: a critique of your manuscript with comments on its strengths and weaknesses, with attention to voice, structure and plotting, character development and so forth. They’ll be upfront the scope of their comments, the turnaround time, and the cost. You are paying for a knowledgeable opinion of the manuscript, suggestions on how to improve it, and perhaps—not always— tips on how to place it. You are not buying a space on an editor’s desk, a fast path through the slush pile, or an introduction to an agent. If the service suggests anything like that, you should be wary. It should also be clear that unless they specifically say so, few professional editors are copyeditors or fact checkers – that is, they are not going to check all your commas or look up whether or not you’re right when you say passingly that Fargo is the capitol of North Dakota. They may highlight a few howlers that they can’t help but notice, but copyediting is a final phase of editing that comes separately – one you don’t need to do for submitting your manuscript (though it doesn’t hurt), but should do if you are self publishing, unless you have a sharp-eyed and knowledgeable beta reader. Second, look for the credentials of the person doing the listing. They should have industry experience, e.g., be published authors, experienced editors, and/or former agents. They should have helped usher books into the world, and they should be able to list the titles of those books and the names of people they have worked with. Third, look for referrals. If you’re spending hundreds of dollars, you should be able to find a couple happy clients. Finally, know that what you are paying for is a person’s time. It is that simple. If you’re struck by the cost attached to it, remember that someone is taking ten hours or more out of their own writing life to help you with yours. The time they’ve taken should be evident in their response. A more difficult question might be whether you need an editor at all, and it’s not one I can answer for you. If you’ve been through multiple revisions, exhausted your friendly and honest readers, and have hit the slush pile with nothing but silence and form rejections, it might be time to take this step. You can get the feedback agents and editors won’t take the time to give because they are moving on to the next manuscript. But it is a big investment, and there’s no promise that it will be the critical step towards publication. I know writers who do credit their freelance editor for finally selling a manuscript, but it’s no guarantee. As a final note, you might buy the rope and take a knots-tying course, but it’s still your job to tie the camel. An editorial letter is a big homework assignment, and often a daunting one. If you’ve gotten a good one, you probably feel sick to your stomach after reading it, because the flaws of the manuscript are suddenly so obvious, and the path to fixing them so arduous. If you feel that way, it’s probably money well spent. "If you feel that way, it’s probably money well spent." Very true~ nobody should spent a couple hundred bucks on an edit and then get, "Looks great! This is brilliant! Maybe add more jokes (if you want to)!" as feedback.